I show up at the local gym on a nice Saturday afternoon and what do I see? 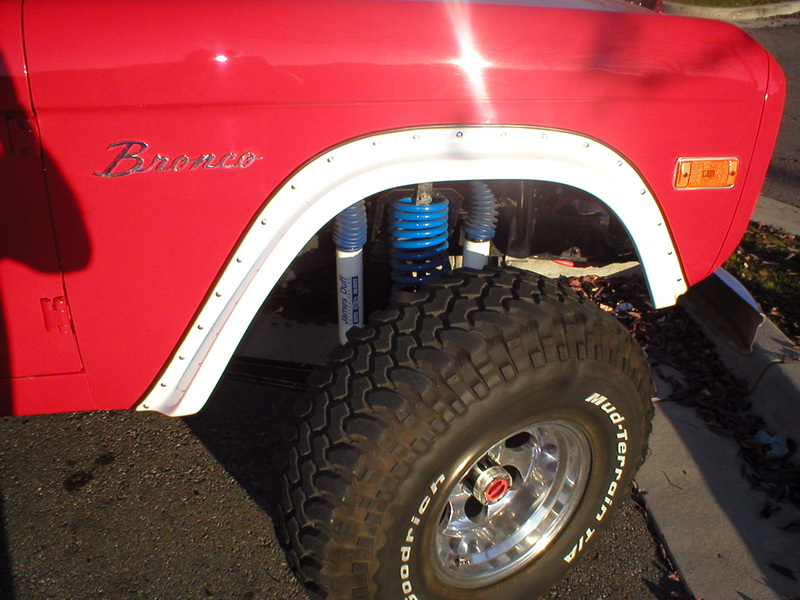 A Gen I Ford Bronco. Red and juicy. Much like their Scout II counterparts, the original Broncos have an ardent following to this day. Bronco owners are fortunate for such purveyors as James Duff of Knoxville, TN, to keep old Broncos running. From the looks of the front end of this Bronco with dual shocks and James Duff signature blue springs, it’s ready for Moab. Will it ever get there? Who knows? This thing doesn’t have a spec of mud on it, nor does it even look like its even been driven in the rain. Corbeau seats and belts, along with a Momo (?) steering wheel indicates that this ride has a pretty serious cockpit. Will it really see off road duties? Maybe. Possibly the most strenuous duty this beauty will see is a weekly showing at Cars and Coffee. I don’t know what year this is, but it would appear to be a frame-up restoration. Big bucks. These are just classic. The updates on this work in terms of comfort and safety and don’t detract from it’s look – IMO. Could this also be a new body – found one company in a websearch that was making all-new shells for Gen 1, just like so many other classics. That would be sad, but at least a tribute is tribute. I had no idea that Duff Enterprises had left Squim WA, apparently quite a few years ago now. 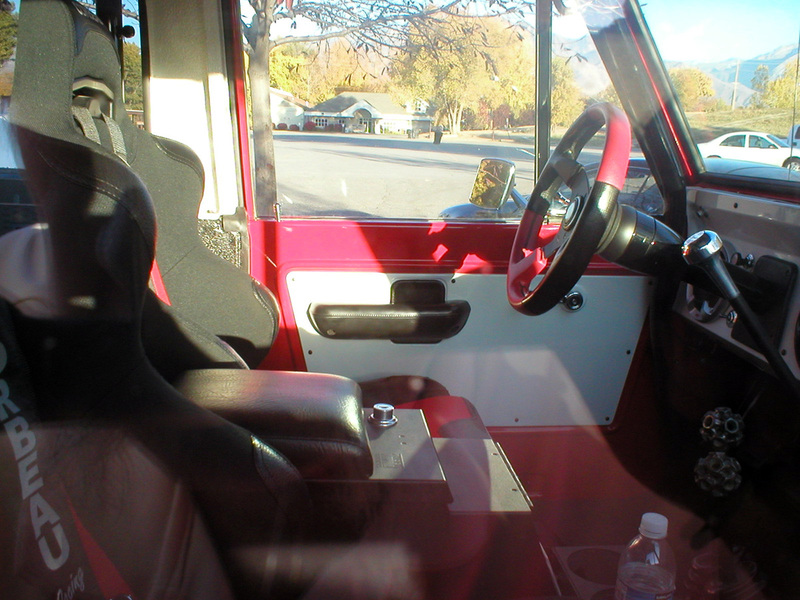 A lot of Bronco guys complain about the modified rear wheel openings, but they certainly add to the look of this rig. Taste is subjective and all, but if you’ve ever seen the ‘stock’ rear fenders, youd wonder why Ford didn’t have them opened like this from day one. The people who cant see this as an improvement are the same types who turn down Sam Adams for Keystone lite. Authentic NY style pizza for pizza hut. etc, etc. My grandfather had a late 60s model at the time of his death in 1978. I can’t remember it but he used it to drive to work at the factory 30 miles from his home out in the country. By the time he passed on it looked like swiss cheese because of the heavily salted roads. No one in the family wanted to take on the restoration of such a salt eaten old Bronco. I always liked these. Been sitting on pix of a nice original, just waiting for time and inspiration. Me too. Which of us will write ours up first??!?!?!!? And…could the two of you have shot the same Bronco? Blue one in Lafayette. Jim? Just a beautiful, honest design. The details are perfect, it’s like a 3/4 scaled full size Ford F series. The off road racing successes with Parnelli Jones and James Garner with the Vic Hickey built Bronco’s gave it the off road credibility that Carroll Shelby gave to the Mustang. I drove my Bronco II for many years but I still longed for one of these. 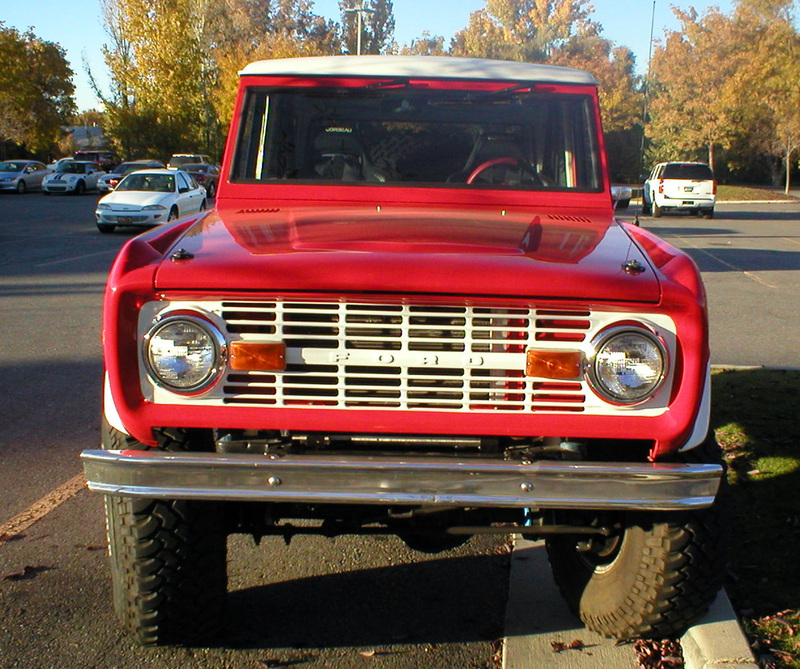 The Bronco and Scout paved the way for the later Bronco II and S10 Blazer. But isn’t it always true that the first to the gate is the best? What a great catch to see one of these again on the road! I think you mean Bill Stroppe. Vic Hickey was the Chevy guy. He built Blazers. I don’t know which generation of what was the best. I do know what I would be willing to spend my money on. I can think of nothing better than this with straight six. This is SO not my kind of vehicle. Made me smile, even though I’m a pretty solid GM guy when it comes to this era of CC’s. These things are far too expensive for those that would actually off-road them to do so, and those that could easily afford to risk the potential damages would never do that kind of off-roading. So yeah, the toughest terrain this one will likely ever see is some parking on a lawn. As for rust, it didn’t take salted roads to waken the rust monster on these. The whole body is practically built to rust, or at least seems that way as readily and severely as they do. A friend had one with the 302 and three-speed manual some years ago. It was a fun ride when it had a minor lift and some 31’s. Sort of a 4wd Mustang with an almost absurdly small turning radius. He later fell victim to the usual mo’ is better syndrome and put a taller lift and some 36’s which ruined everything from acceleration, to ride, and especially braking. What a beautiful rig! These are extremely capable, yet youre right, it may never see dirt since theyre rare and have become valuable if theyre in nice shape. 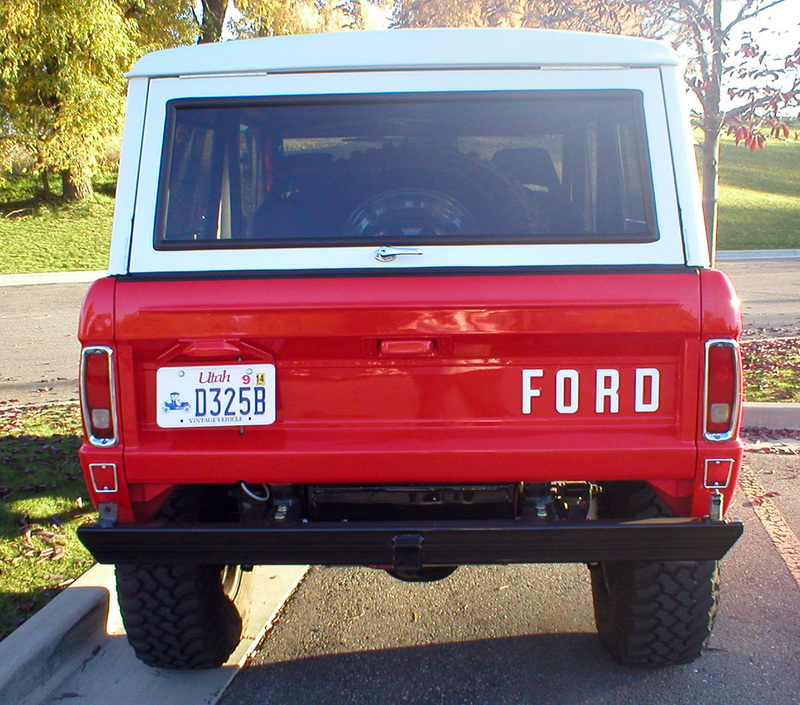 Ford is REALLY dropping the ball by not bringing back the Bronco. Hell, it should have never left the lineup, since Jeep has seen steady sales increases first with the CJs and now with the Wrangler. The Wrangler is now one of Chryslers top sellers, behind only the Ram and Grand Cherokee as I remember. As a rabid, foaming at the mouth diehard Jeep fanatic, I have to admit that these broncos had several advantages over the CJs that were available at the time, and even over later editions including the Wrangler. But parent company Ford is NOT committed to embracing the enthusiast. The Raptor and Mustang are the only exceptions. 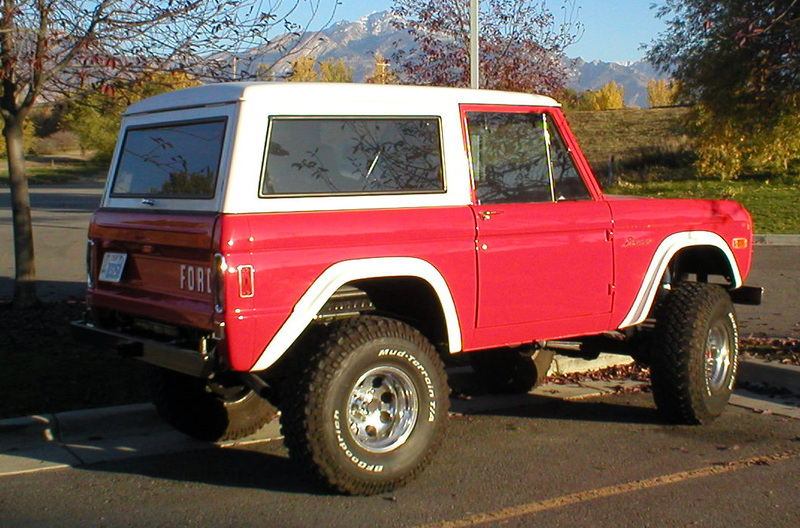 Ford had a decent looking Bronco concept a few years back. Unfortunately, it was really nothing but a butched up escape, but the look was there. If they did a 2 and 4 door version with solid axles, available diesel and V8, and based the whole thing on a baby F-150 frame it would be a slam dunk, yet they keep investing in feeble soccer mom-ified cuv’s and those lame, goofy hybrids.